The HMSA Foundation aims to foster greater empowerment for communities by making strategic grants to Hawaiʻi-based organizations. The Foundation’s funding priorities include endeavors that aim to ensure everyone has the opportunity to live a healthy life; initiatives that seek to strengthen our culture, policies, and practices for a healthier Hawaiʻi; and projects that contribute to building ecosystems of health within our communities. Starting in 2019, the HMSA Foundation will be moving away from an open grants process to a cohort model of multi-year investing with a small group of non-profit partners. We will no longer be accepting grant applications. MAʻO Organic Farms, with the support of the University of Hawaii, is researching the community health impact of ‘āina or land based programs. 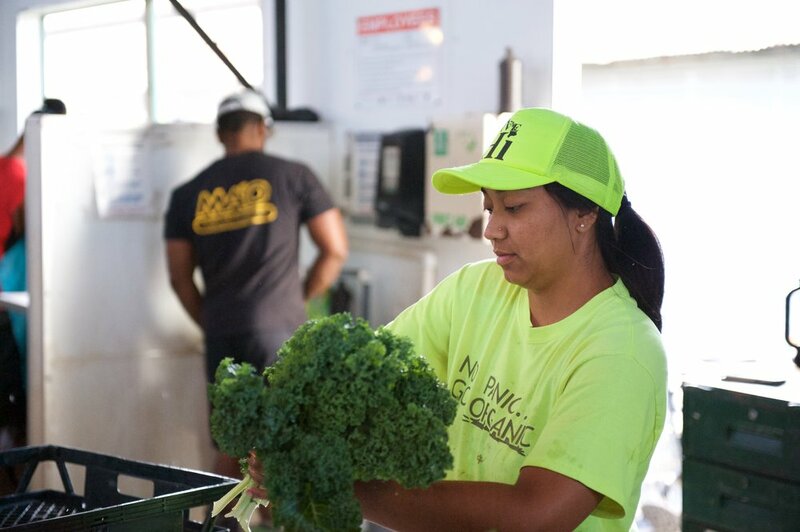 ʻĀina Pono, Hawaiʻi’s Farm to School Initiative, aims to improve student health, support local agriculture, reduce waste, and develop new school cafeteria menus that emphasize fresh, local food. Dental teams deliver services in community based programs including Early Head Start, Head Start, WIC and Nursing facilities to those who do not have access to or cannot afford dental care.